In our Club Room Regional it was Leonardini up against Leonardini. The ever-charming Avec Amis Pinot Noir is a Leonardini Family wine meant to be shared with friends (avec amis). 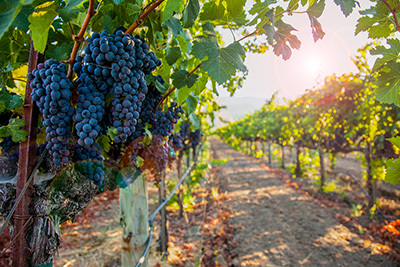 The blockbuster 2010 Leonardini Cabernet Sauvignon has the muscle to age for years to come. 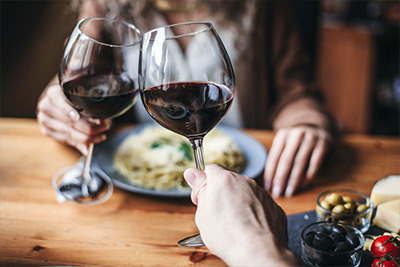 The wines went glass-to-glass and nose-to-nose. The Pinot lived up to its name, playing to the crowd with silky smoothness and making friends as it poured in the shots. The 2010 Leonardini displayed its youthfulness with some in-your-face slam-dunks. 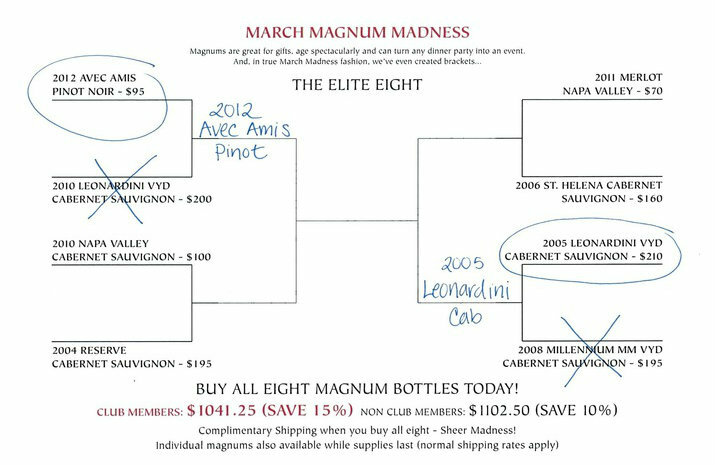 In the end, the Avec Amis made more “amis” and advances to the Magnum Madness Final Four. 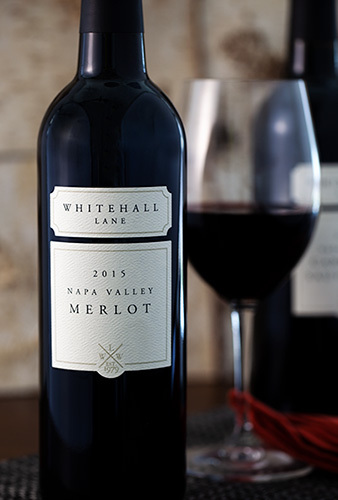 Over in the Barrel Room Regional, a different Leonardini Vineyard Cabernet Sauvignon went up against another powerhouse, the 2008 Millennium Vineyard Cabernet Sauvignon. The 2005 Leonardini with its St. Helena pedigree versus the wine made from the Rutherford Appellation. The length and smoothness of the Leonardini was apparent from the tip-off while the Millennium displayed nifty moves and spectacular balance. It came down to the waning moments. The final shot just rimmed out, sending the ‘05 Leonardini to the next round. Two more games take place this week as the Magnum Madness heats up. 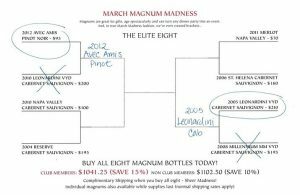 There is sure to be some taunting from the young 2011 Merlot and the 2004 Reserve might make some noise in its final trip to Magnum Madness. 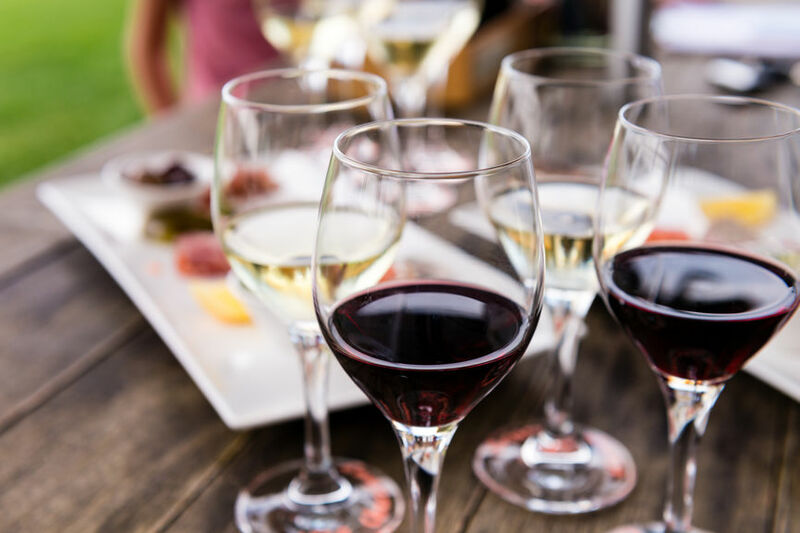 Keep in mind all of the wines are winners in this prime time tasting tournament and it’s not too late to get in the game. 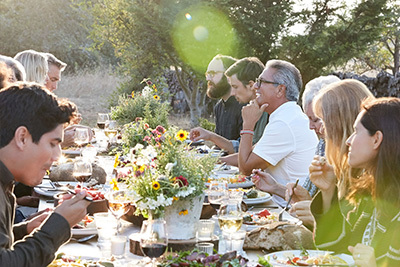 Grab eight great magnums that match up beautifully with any occasion (even a basketball game!) The price for all eight is $1,102.50 and includes shipping (shear madness!) If you are a wine club member it’s even less. If eight is too many, pick the two you think will make it to the Championship round and enjoy! If you need help with your brackets, our bracket buster, Dustin Harland, is ready to help. He knows all the magnums intimately having followed them through conference play and tasting way more of them than he should. Give him a call at 800-963-9454 ext. 32 or drop him a line at dustin@whitehalllane.com. He knows which wines have the legs to carry them to the championship show down. 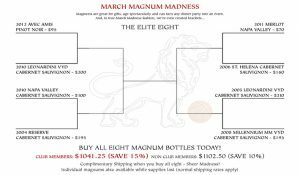 The Brackets are set, grab your winning Magnum and get in the game! It is time again to test your bracketology knowledge with Magnum Madness. After a full season of pulled corks, spilled wine and lots of recycled bottles, the magnums have been seeded for the big tournament. The newly released 2010 Leonardini Cabernet Sauvignon, with its youthful boldness thinks it will take the crown. 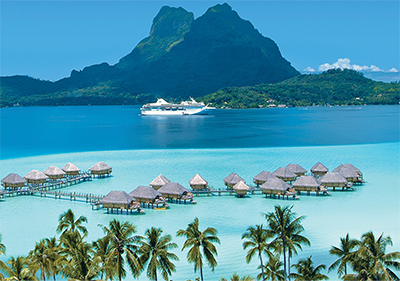 There is no billion-dollar bracket challenge here, just lots of great wine, exceptional prices and a fantastic time. 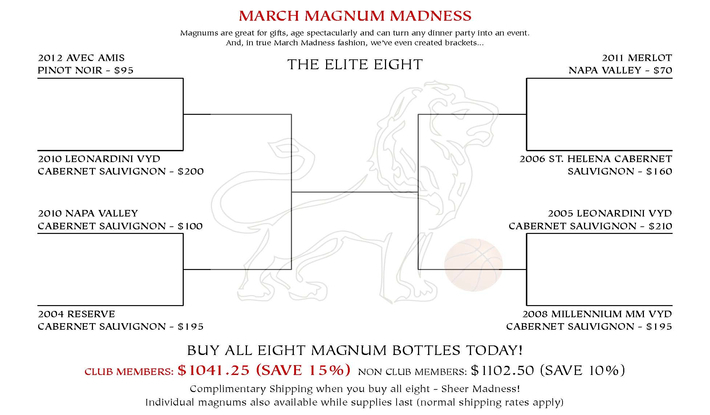 So, fill out your brackets, grab a magnum or eight and get in the game! 2017: A Year Through Your Eyes.